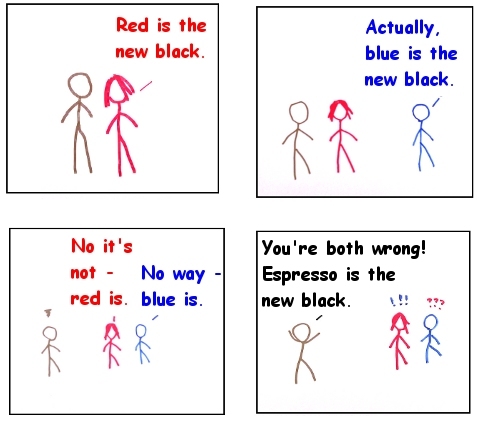 For those of you that haven't forwarded it to us already, yes we know that that xkcd has conducted a color naming survey and has posted some analysis of their color survey results. Fun stuff, with interesting similarities (and differences) with some of the work we've done over the years relating to color naming. To maintain parity, we offer the following cartoon response to their survey. And yes, the comic sans font was used purely for it's inflamtory powers.